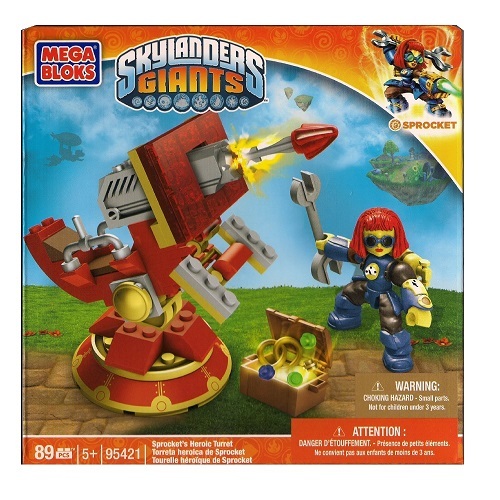 Product Detail Summary: Mega Bloks Skylander's GIANTS Set #95421 Sprocket's Heroic Turret: 89 pieces. Due to limited/changed quantities available within case packs- this set will be rather hard to find. Case assortment breakdown has changed to include less of this set than originally intended. Additional details will follow.